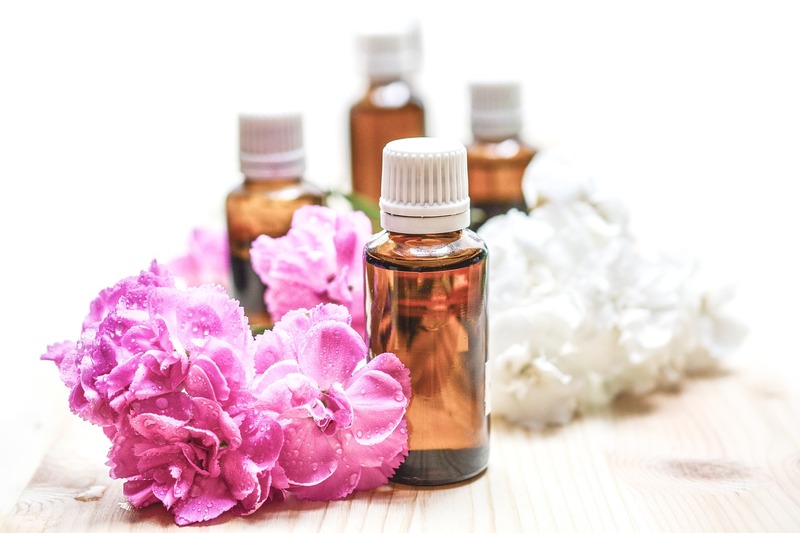 Essential oils have been used for generations as a way to boost our health and wellness. From lavender to sage, these oils can be used in a variety of ways to make our lives easier and healthier. Around the home, essential oils are a family’s secret weapon. We consulted Lauren Gamble from Madewithoils.com on some of the best ways to utilize essential oils around the house. You’ll be surprised just how useful these potent scents can be. Choosing natural oils over harsh chemicals is a great first step to making your home a relaxing, healthy place for the entire family. Lavender has been used to help people get a better night’s sleep for hundreds of years, and you can bring these powers into your own bedroom. Everyone struggles with their sleep pattern from time to time. Who couldn’t use an extra boost? Without a good night’s sleep, you’ll struggle to feel focused and alert the next day. Thanks to lavender essential oil, you can relax your body before bedtime. You can use lavender in an oil diffuser in your bedroom about an hour before you plan to go to bed to keep your mind relaxed. The early housewives knew just how powerful lemon is around the home. You don’t have to buy expensive cleaning products that contain harsh chemicals when you can use lemon essential oil. Cleaning chemicals can be dangerous to kids and pets, so using a natural solution is a must. Add a few drops to a bottle of your favorite natural cleaner or even just water. When cleaning, spray your counters or tiles and let the solution sit for up to five minutes. Then, the residue will come off easier. An added bonus is the clean lemon scent. As we mentioned before, you need to find a cleaning routine that isn’t a risk to your family. At the same time, you want to be sure you’re ridding your home of dangerous germs that spread illness. One area of your home that’s particularly susceptible to germs in the kitchen, and you don’t want to mess around when it comes to your food. Tea tree is known for its antiseptic properties. That’s why it’s perfect for cleaning your kitchen. You can add a few drops to your kitchen gadgets when you’re trying to give them a good cleaning to get rid of harsh stains, or you can add a few drops to your washing machine to deep clean dish towels. You probably don’t give much thought to your trash bin, but I’m sure we’re all familiar with the smell. While you probably don’t need to take the time to deep clean your trash, nobody wants that smell spreading through their home. This is an easy fix thanks to eucalyptus oil. Use a cotton ball soaked in eucalyptus oil and leave it in the bottom of your trash can. For an extra dose of cleaning power, add a coat of baking soda. Let the can sit overnight, and wake up to complete freshness. While you should have your at-home first aid kit stocked with things like band-aids and ointment, you might want to also add peppermint. Peppermint has a lot of health benefits, but it’s especially good at soothing your digestive system. Because it has digestive properties, you can use it to prevent an upset stomach or soothe your body after a big meal. For a direct application, dilute the oil in something like argan oil and rub it directly into your abdomen. You’ll feel better in no time. Essential oils are more than just hype. They’re backed by real science, and they make life easier without costing a fortune. We all need to find natural ways to help our families live healthier, cleaner lives, and this starts at home.